Recently, Chief Minister of Gujarat Anandiben Patel visited Chattisgadh. 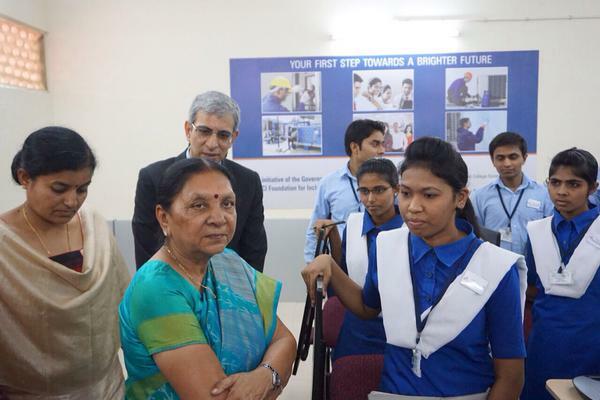 Anandiben during her visit was glad to visit Livelihood College in Bhilai. She appreciated commendable efforts towards skill-training and empowering youth in the state. In Patan,yesterday night near theatre in Harij incident of firing due to personal revenge over death of 5 years old boy. Accused have been arrested by police. As per source. WATCH VIDEO OF NARENDRA MODI Narendra Modi addresses rally at Silvassa,Dadra Nagar Haveli.